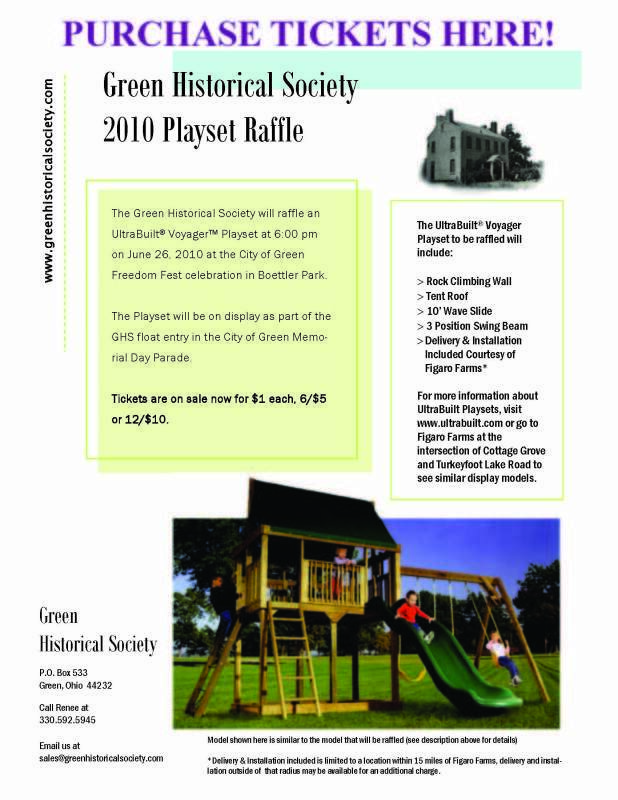 The Green Historical Society will raffle a UltraBuilt playset this summer! Tickets are available for $1/each, $5/6, or $10/12. 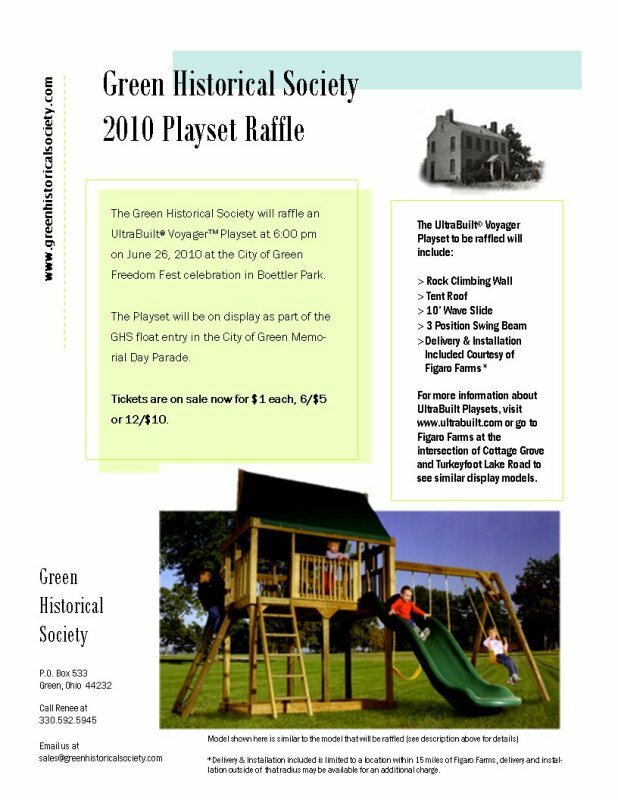 The playset will be part of our float entry in the Green Memorial Day Parade (Monday, May 31, 2010). The drawing for the grand prize winner will be held at Green's Freedom Fest (June 26, 2010). UltraBuilt playsets are available from Figaro Farms, intersection of Cottage Grove & Turkeyfoot Lake Road, Green, Ohio. Click this link for more information about UltraBuilt playsets.